Francis Jupurrurla Kelly waited for over 25 years to tell the story of the 1928 Coniston Massacre of Warlpiri, Anmatyerr and Kaytetye people to a national audience. He felt compelled to make a documentary that is accessible to the larger national audience, so that they may know and understand with sensitivity, respect and empathy, this part of Australia’s history. 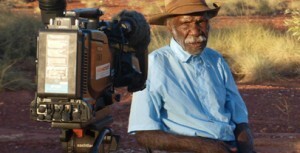 Francis was a key person in the establishment of Warlpiri Media Association in 1983. 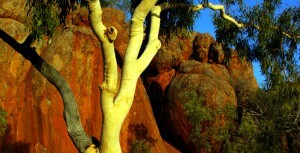 Warlpiri Media was one of the first Aboriginal media organisations in Australia. In 1984 Francis made the first "made-for-the-sceen" video for local audiences. The video was an interview on country with G. Marshall, the son of Bullfrog, whose killing of a white dingo trapper triggered the Coniston Massacre. Francis chose David Batty of Rebel Films to co-direct this new documentary on the Coniston Massacre. They have worked together for over twenty years on different projects: starting with the making of the Manyu Wa na series (the Warlpiri Sesame Street) and then the AFI award winning, and much loved, Bush Mechanics. Francis says he chose David “ because he knows both non-Aboriginal and Aboriginal cultural ways. There isn’t anyone else I trust with such an important project. David understands and respects the Aboriginal way”. Their collaboration reflects the aim of the documentary: to forge a better, more equal, and cooperative relationship based on deep mutual understanding and respect, between white and black Australia.